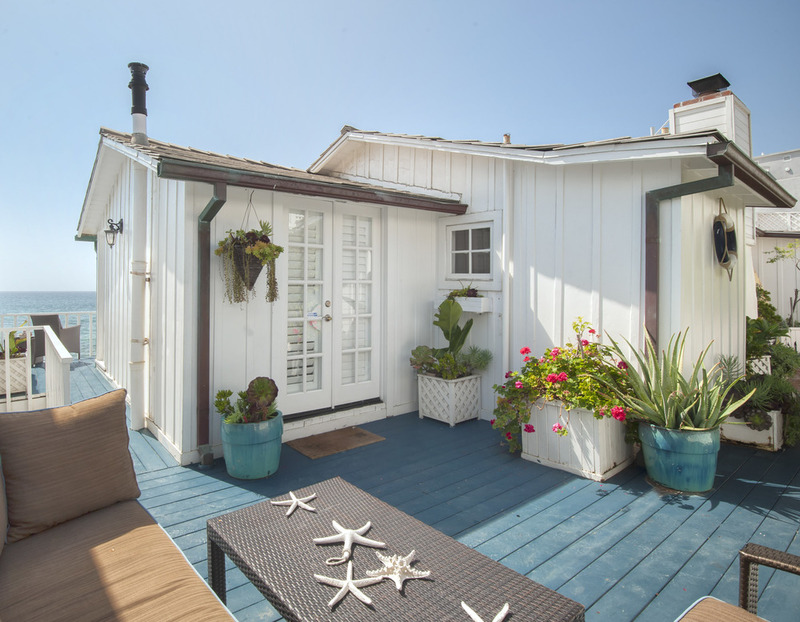 Beautifully appointed beach bungalow on a prime stretch of beach close to Santa Monica. 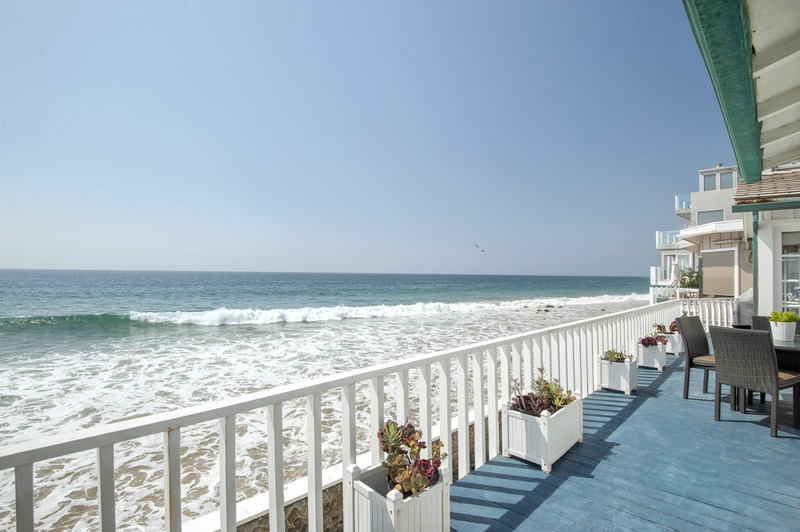 This is the quintessential beach home conducive to the indoor/outdoor beach lifestyle Malibu is known for! 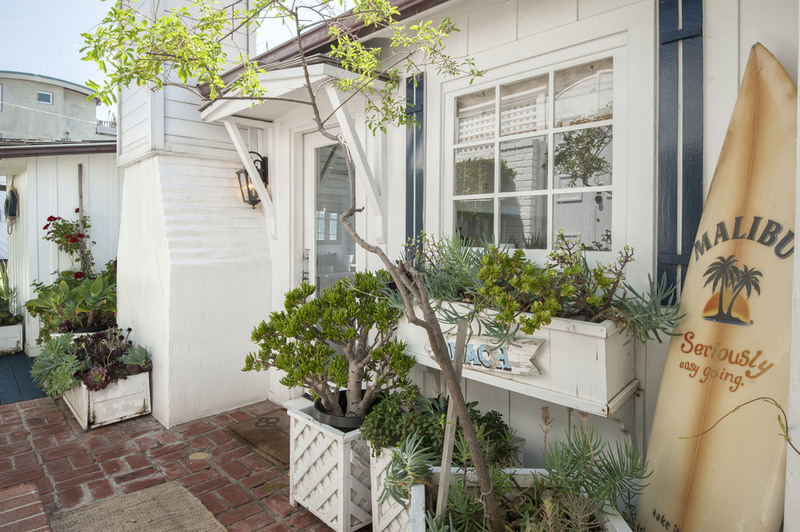 Enter the gate at PCH and enjoy a small courtyard before entering the front door. Close the door behind you and the city life melts away as you take in the crashing waves and smell of the ocean. 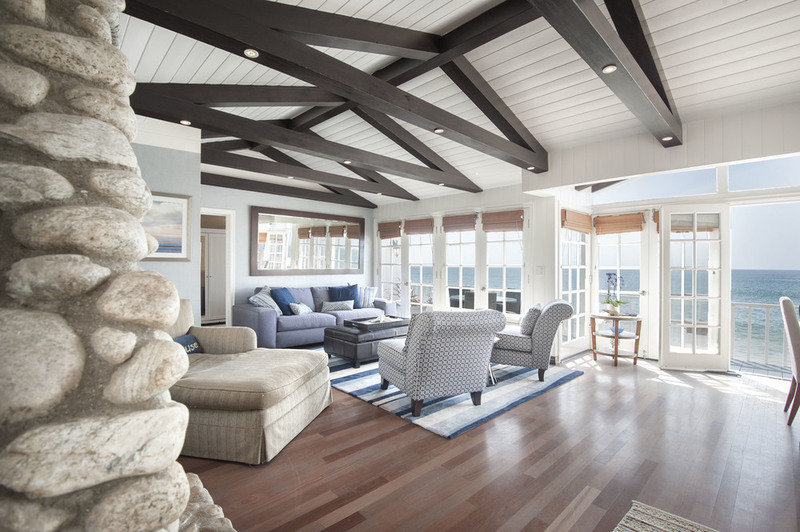 The main level features a large fireplace, open kitchen, guest bedroom, french doors and abundant sunlight with and a large balcony across the beach. Step back outside to travel downstairs to the huge patio with fireplace and entertaining area. Also includes a large built in bar downstairs. 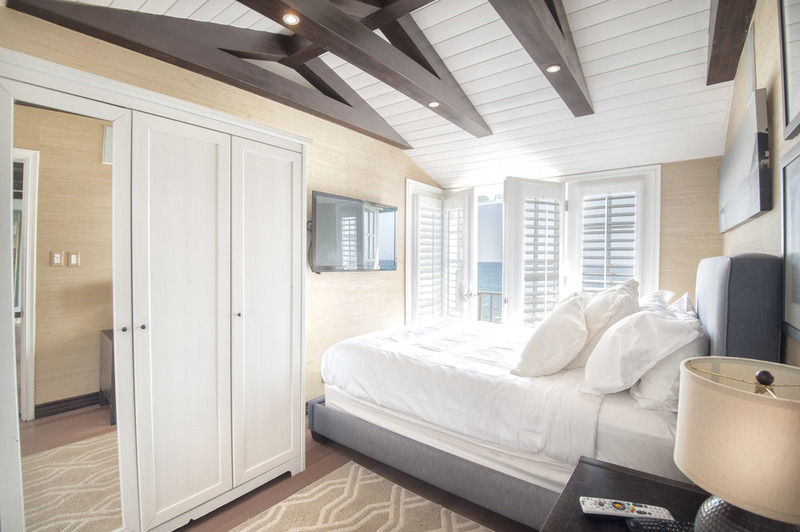 The romantic master bedroom is also nestled downstairs allowing for privacy with amazing ocean views. Unique and special.